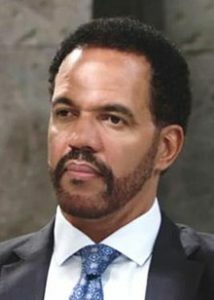 Kristoff St. John, one of the stars of CBS’s The Young & the Restless, was found dead in his home in Los Angeles on Monday. The talented actor, who played Neil Winters on the show, was 52 years old. The cause of death has not been released. The veteran actor made a name for himself with memorable roles on television sitcoms like Martin, Living Single and Hanging with Mr. Cooper. He also had a standout role as Denise Huxtable’s button-pushing boyfriend, David James, on an early episode of the Cosby Show in 1984. But it was in the soaps where the actor would cement his career and build his legacy. St. John was a staple on The Young & the Restless for nearly 30 years and won numerous awards and award-nominations for his performances. Most recently, he was nominated for a Daytime Emmy Award for Outstanding Lead Actor in a Drama Series in 2017. Kristoff’s death is particularly tragic, as it comes just a few years following the death of his then 24-year-old son, Julian, who died while receiving care at La Casa Psychiatric Health Facility in Long Beach, California in 2014. St. John was also engaged to marry his model girlfriend, Kseniya Mikhaleva. St. John is survived by his daughter, Paris Nicole, from his previous marriage to boxer, Mia St. John.